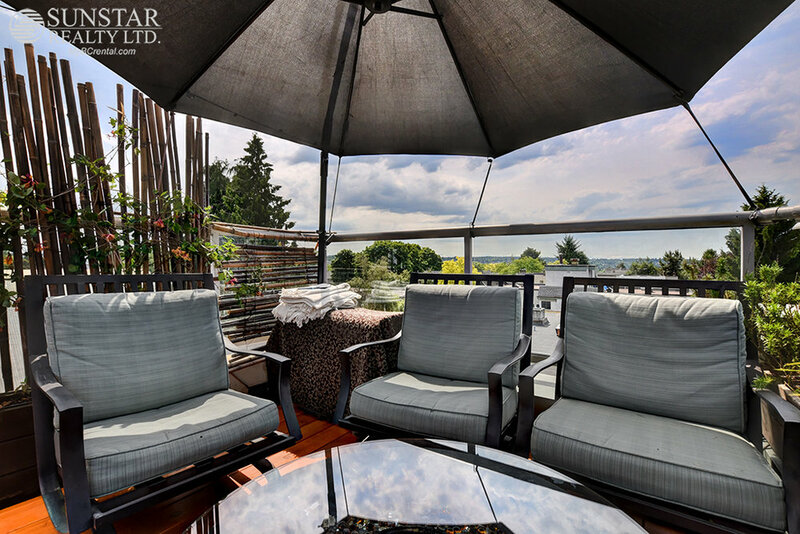 Kitsilano Bohemian Furnished PH w/ Rooftop Deck @ The Tiburon - $4350 — Lynn Swanson At a glance guide to all currently available fully furnished properties managed or represented by Sunstar Realty Ltd. Lease term: minimum 9 months stay. Pets: no cats, dogs on approval. Most properties include: fully furnished from cutlery to linens; from flat screen TV to designer soap dispensers; fridge, stove, dishwasher, microwave and washer/dryer; and also includes maid service twice a month, utilities, local telephone, and high speed wireless internet. Not included: cable, long distance telephone, additional cleaning & move-out clean. 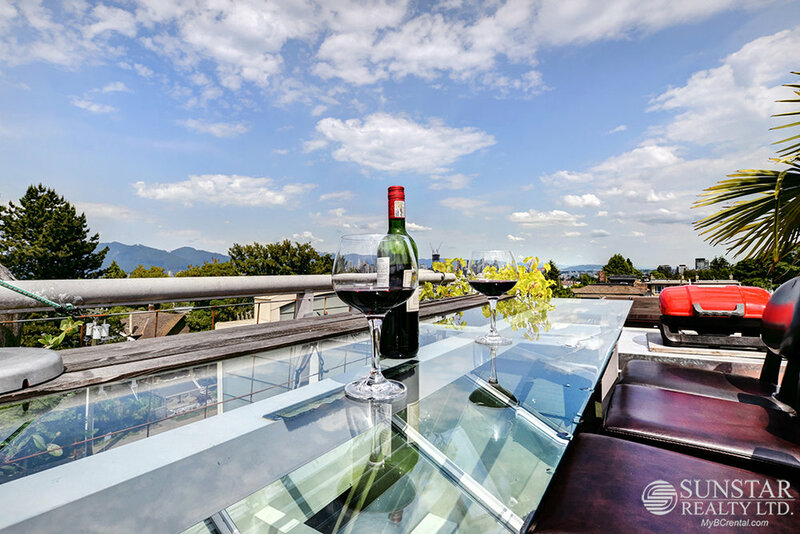 LOCATION: The hottest area in Kitsilano, mere steps to 4th Ave shopping and the trendiest dining spots; 5 blocks walk to Kits Beach, seawall and tennis courts. It's where everyone wants to live. Just around the corner is Whole Foods, and a host of restaurants including Browns (w/outdoor patio), Bishop's, Fable kitchen, Nuba, Naam, Annalena, Nook, Malones. 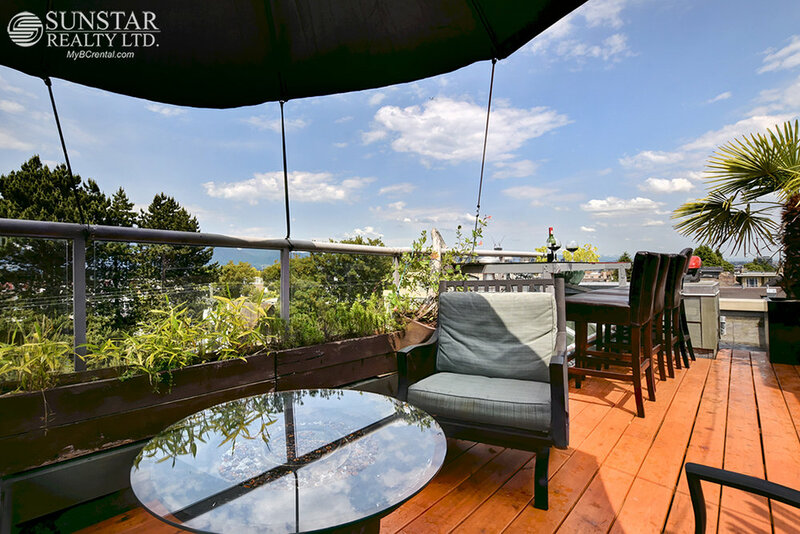 Bike or walk to Kits Beach (5 blocks), or Jericho Beach, minutes away. Quick trip to downtown via bike, bus or car. Easy access to transit on 4th, Burrard, Cornwall and Broadway. 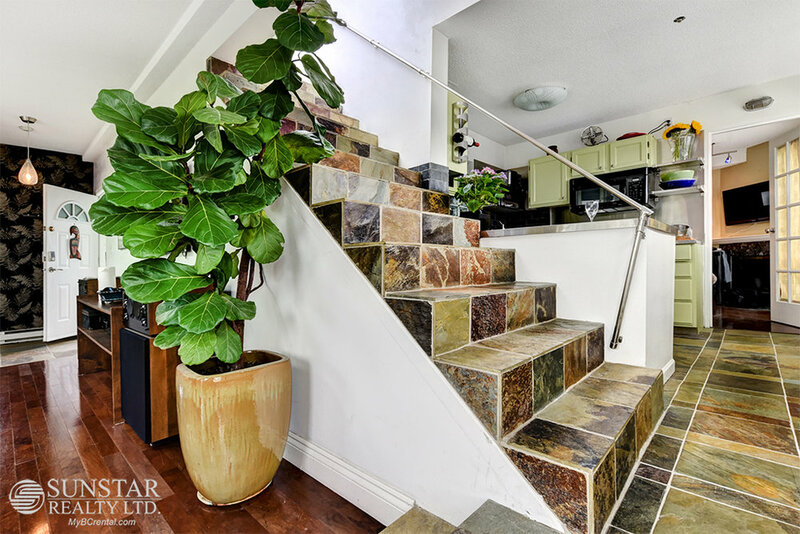 FEATURES: It's all about a Bohemian lifestyle with this hidden Penthouse treasure. 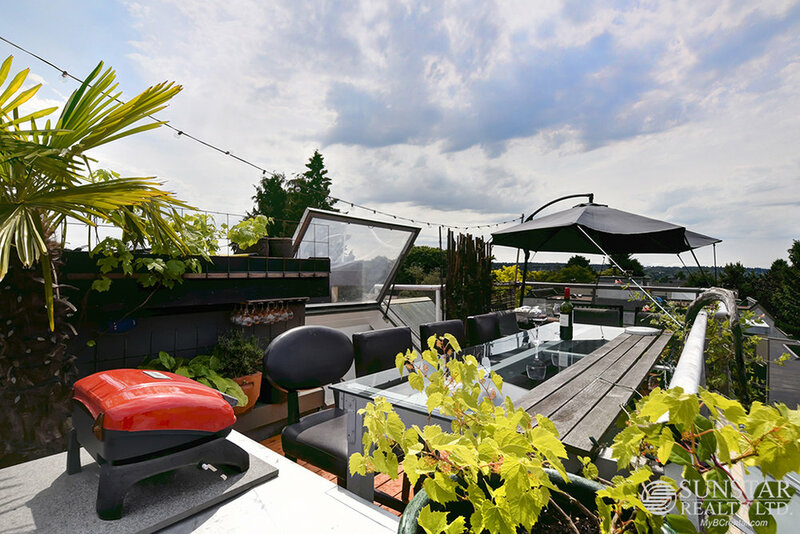 Kitsilano homes like this just don't come along often, especially with a 170sf rooftop deck and a view that takes in the whole city, North Shore Mountains and harbour! This 1 bedroom plus den, 1.5 bathroom penthouse in a 4 storey low rise building is sure to please with its vaulted ceilings and full height windows letting light flood in, even on the gloomiest of Vancouver days. 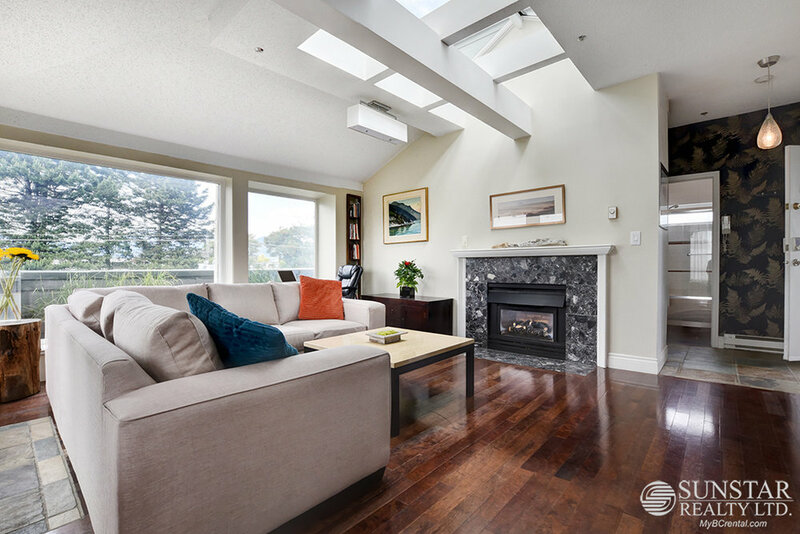 Living room with gas fireplace is furnished with a comfortable sectional sofa, 55 inch wall hung smart Samsung TV and a window desk, great spot for your laptop and a coffee or glass of wine. 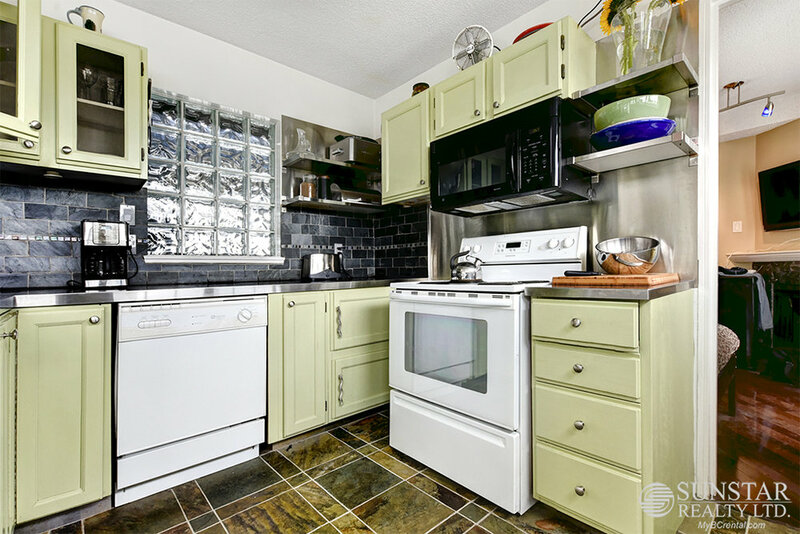 Kitchen is small but efficient and includes Maytag dishwasher, Maytag electric range, a small fridge and microwave. 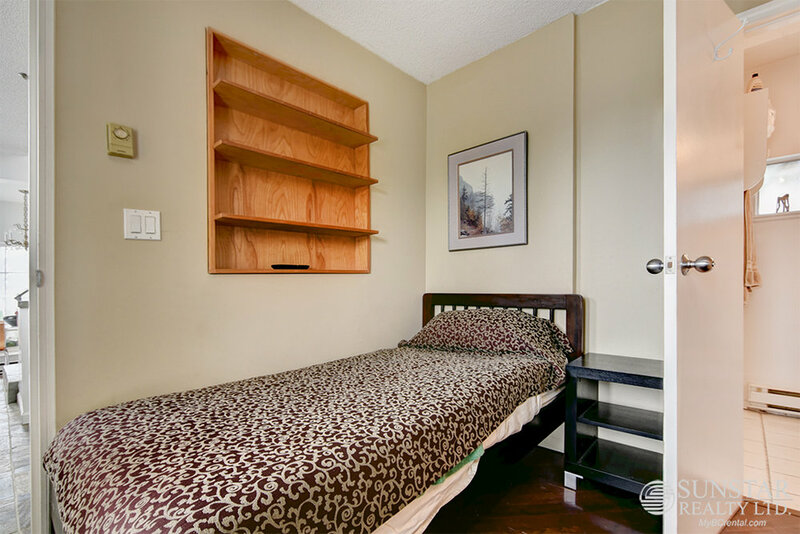 Den, located off the kitchen area includes a single bed, gas fireplace, wall mount TV and is ensuite to a 2 piece bath. Also located in this area is the laundry room. Located at the opposite end of the Penthouse is the Master bedroom, furnished with a Queen bed and is adjacent to the 3 piece main bathroom. 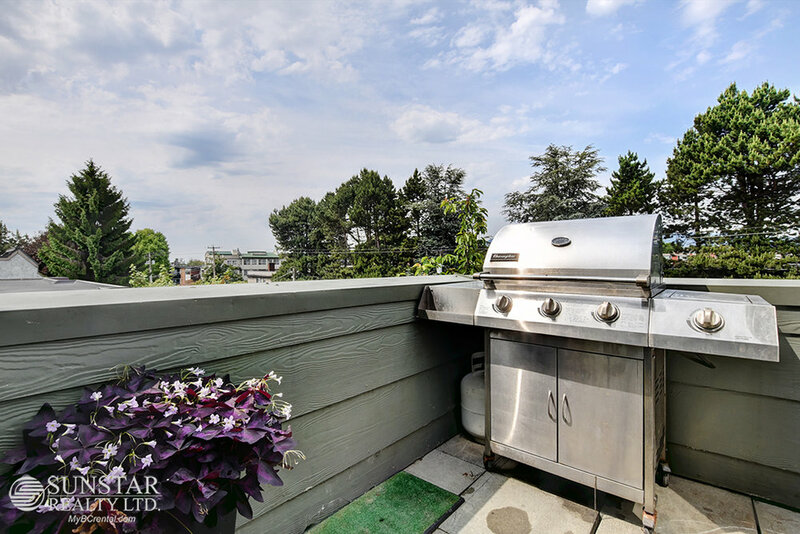 Main floor deck includes a full size BBQ. 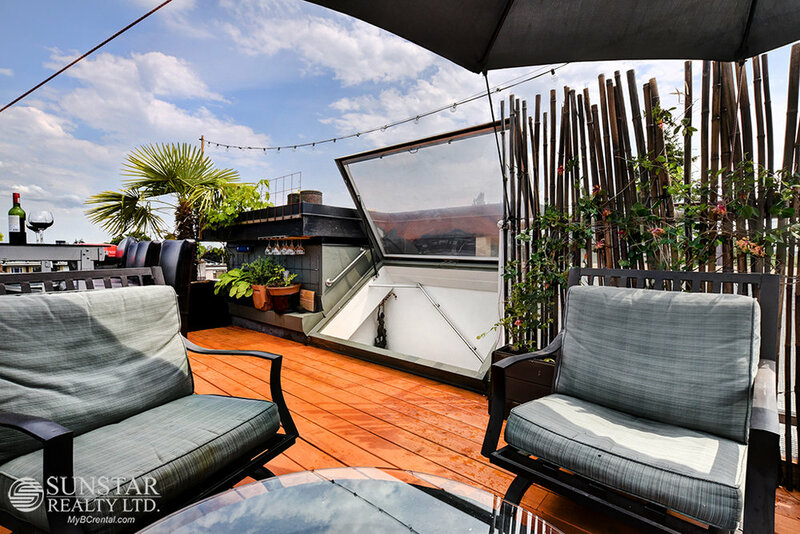 Rooftop deck is furnished with comfortable lounge seating for 4 around a fire pit and an eating/drinking bar with stools. Also provided is a (small) propane BBQ and Bluetooth speaker for your tunes! 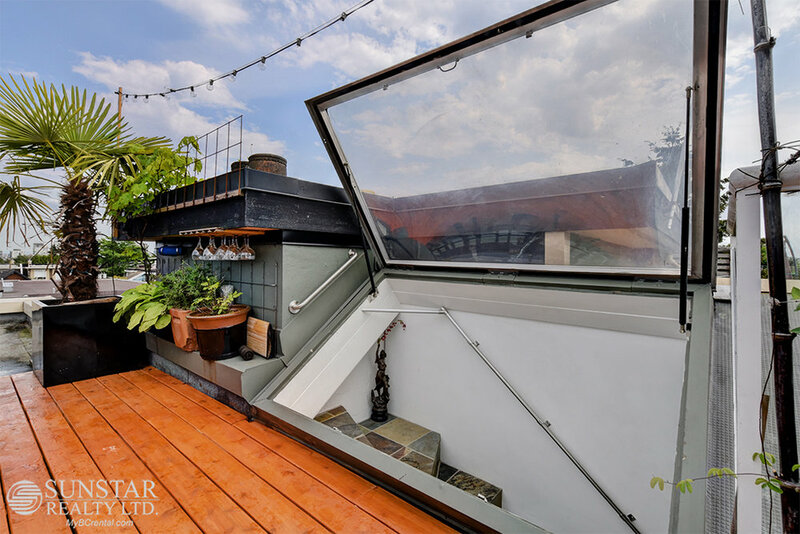 Just pop up through the roof door to your private piece of paradise, breathe in the views and relax!